Live life in luxury! 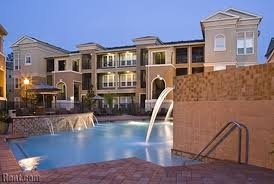 Kings Cove Luxury Apartments are quality-built with custom touches. Conveniently located ajacent to King’s Harbor Waterfront Village. Each apartment homes includes granite countertops, spacious closets, oversized bedrooms and bathrooms, and a complete GE appliance package with stainless steel side-by-side refrigerator, washer/dryer, and built-in microwaves. We have everything from traditional to contemporary! We offer unique urban apartments with stained concrete flooring, exposed air ducts, 10ft ceilings, and 8ft doors. Penthouse units are also available with woodplank floor, exposed air ducts and enhanced views. It’s time to live YOUR life in luxury.